Are you interested in buying a spacious and modern home? Do you want your new home to have all kinds of luxury details? Our real estate agency offers you its fascinating villas for sale in Torrevieja so you can meet your expectations. We have over 50 villas for sale so that the client can receive all the characteristics of each of the properties, and can find the home of their dreams. We offer villas of all kinds: more traditional villas, modern villas, luxury villas ... 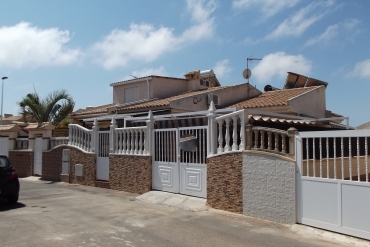 Many of our properties for sale in Torrevieja offer wonderful finishes. In most of our villas, you have the opportunity to enjoy amazing areas. You can have access to your private pool. Who does not have a house to enjoy, only, your loved ones? Now, if you bet and trust to buy one of our villas in Torrevieja, you can enjoy your memories without disturbing anyone. You can choose the size that the beach leaves, each villa has a swimming pool with its respective dimensions. 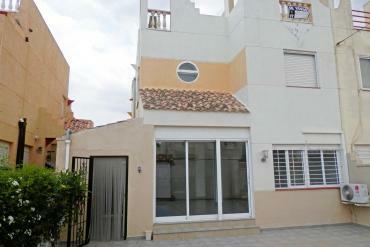 Do you want to know the details of one of our villas for sale in Torrevieja? So you can get an idea of how you can enjoy one of our villas for sale in Torrevieja, we provide the details of one of them. One of our properties has 6 rooms and 7 bathrooms. A large house with 905m2 habitable, and a plot of 3,300m2. The privilege of this property is that it is on the beachfront. In addition, you have only 15 minutes on the golf courses, and less than 5 in the commercial area. The villa has a private pool, garden, solarium, garage, large terraces, sea views, separate kitchen, balcony and much of the house is furnished. If you want to fulfill your dreams, make them come true in our villas for sale in Torrevieja. To start the entire sales development process, you can come to our office, located in the Calle Bizet Shopping Center, Local 6 La Siesta - 03184 Torrevieja (Alicante). Also, you can contact our real estate, by calling: 934 785 202 or by sending an email to info@casaspania.com.